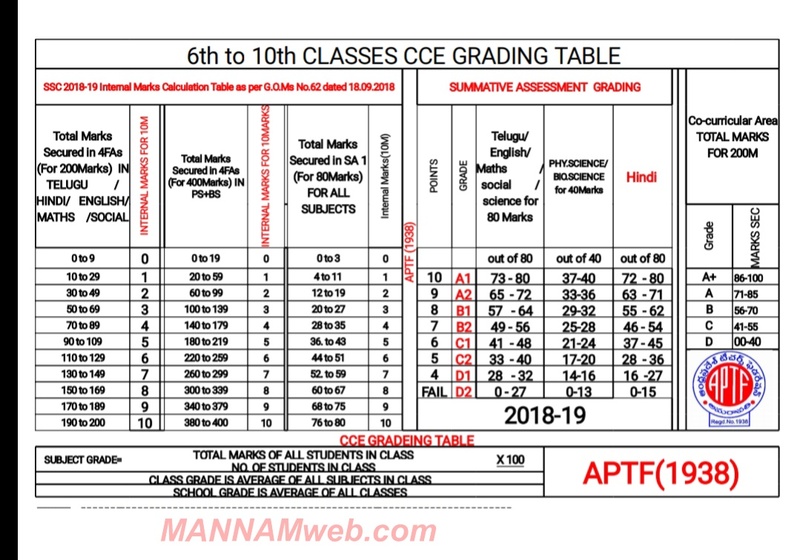 18 for classes 1-V and SA-II marks of Academic Year 2017-18 for classes VI-IX is also enabled. 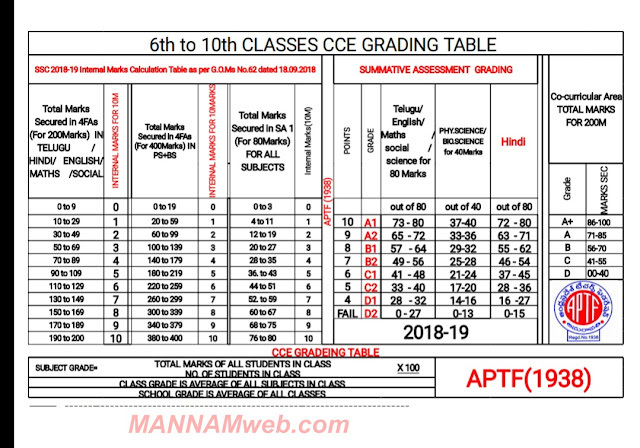 CCE marks entry is enabled only through the individual school logins already given to schools. For example, given that the deadline for conducting FA 1 of Academic Year 2018-19 is the last week of July, the Headmasters must ensure data-entry of FA 1 marks by 14.08.2018. 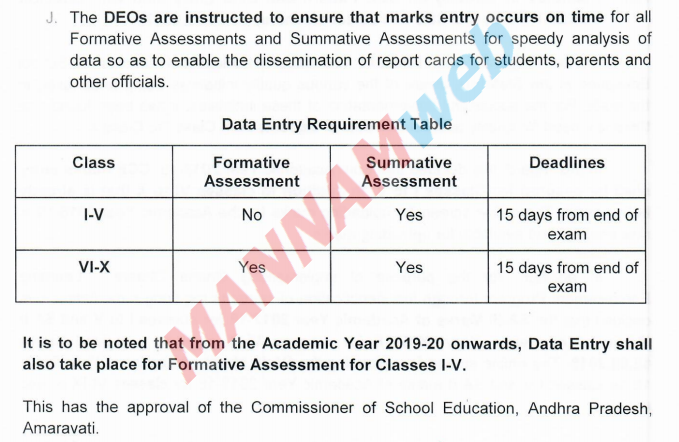 The DEOs are requested to issue instrucitons to MEOs/Headmasters to start the data entry process well in advance and complete within the prescribed time.